In a new paper published in the journal Immunity, the Oberst Lab in the Department of Immunology at the University of Washington, reveals an unexpected role for metabolic changes in neurons in fighting viral infection. It was discovered that when neurons are infected with flaviviruses such as Zika and West Nile virus, they respond by altering their metabolism via production of the metabolite itaconate. This inhibits viral replication, allowing the immune system to “catch up” with the virus. 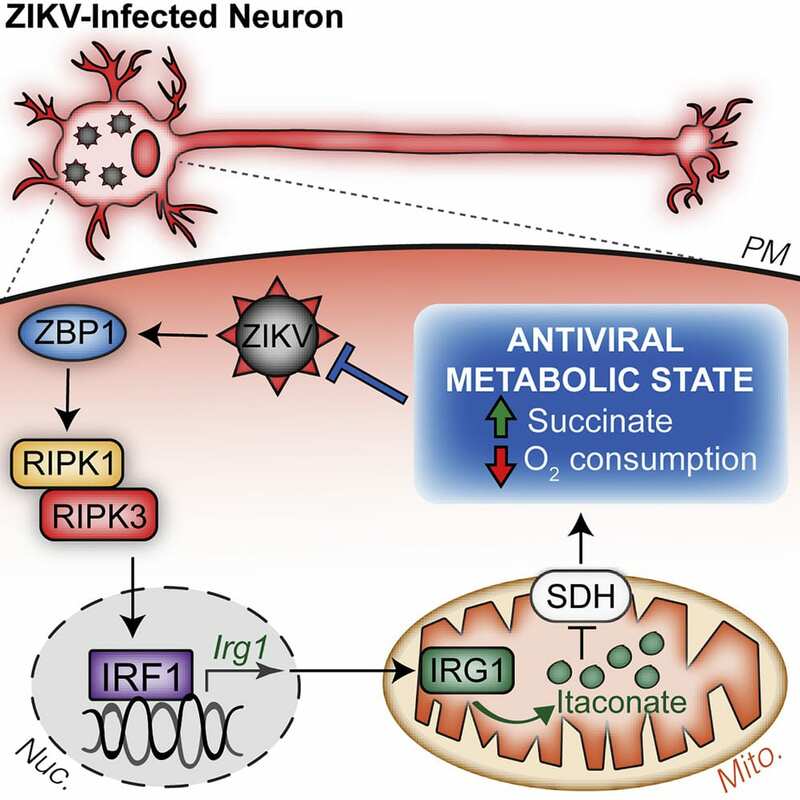 Surprisingly, during Zika infection this change happens downstream of the sensor ZBP1 and the kinases RIPK1 and RIPK3, proteins normally associated with a form of programmed cell death called “necroptosis.” Read the full paper.